Been a synergy user for a very long time. I recently upgraded from 1 to 2.0.9. [ Core ] [2018-04-18T16:27:30] DEBUG: sending clipboard 0 to "JMRDesktop"
[ Core ] [2018-04-18T16:27:30] DEBUG: sending clipboard 1 to "JMRDesktop"
This one is a real head-scratcher! I don't suppose you could share a video of the mouse cursor behavior? Nick, I think it's due to me running the USB-C dock (using the displaylink drivers) on the Ubuntu box. Oddly enough, everything works fine when I set the Windows 10 box as the server. 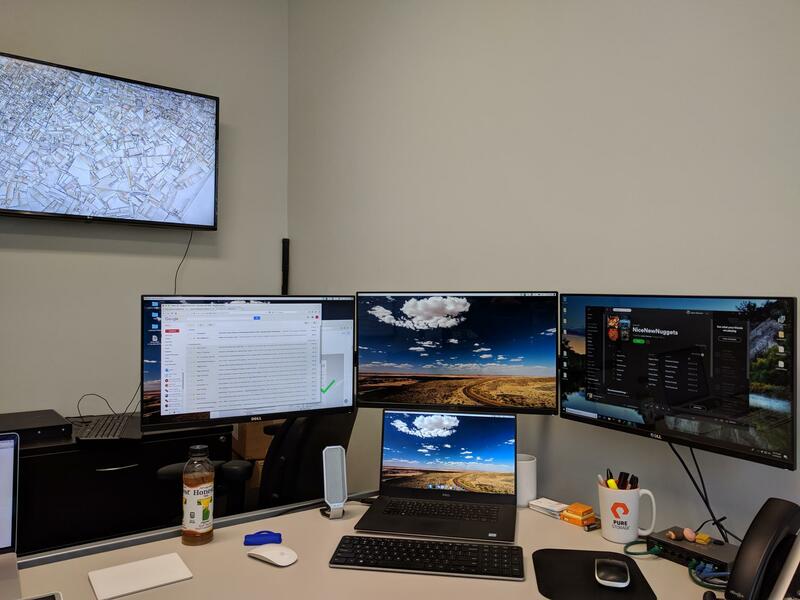 About my setup: Mint linux running on a small IBM thinkcentre i5 (on the wall), Ubuntu 16.10 in the middle (this is the laptop with the display link setup and has three screens; the left + middle + laptop) and the windows box is on the right. I bought a wireless keyboard and moved it to the Windows box (which is now the server) and it runs great. Interestingly, the older version 1.9 has all of the same problems now that I've reverted. Also, dragging the desktops in the (Configure server) GUI screen (when using the Ubuntu Server as the master), clicking any object immediately puts a red-ish icon on the monitor object and it cannot be moved. If I reboot, I can move an item exactly once, then all the same problem persists. It's fin from the windows machine.